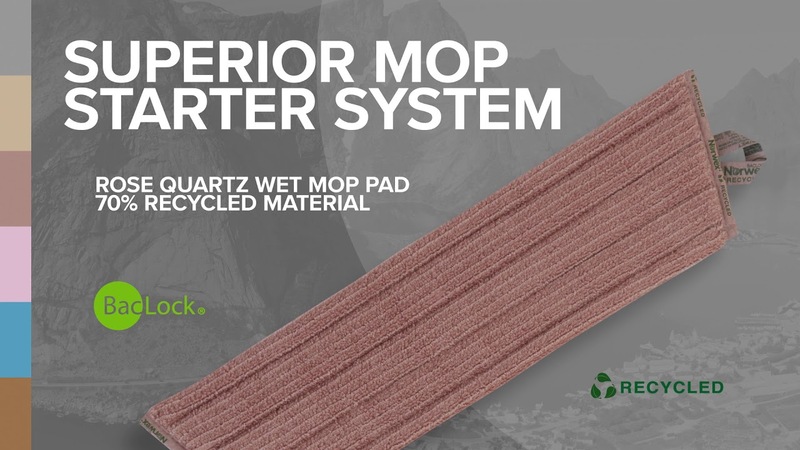 The Dry Superior Mop Pad made from 50% recycled materials (1.9 x 500ml plastic bottles), is statically charged and will pick up the smallest particles of dirt, dust, pet hair, crumbs and more. Our Mop Pads pick up even the tiniest particles and attract dust like a magnet. They are excellent for cleaning linoleum, vinyl, laminate, wood, marble and tile flooring; baseboards; ceilings; walls and even high windows, all without harmful chemicals. • All slightly dirty Mop Pads can be washed with Norwex Washing-Up Liquid under warm running water and used again before laundering.